To find out how you can help to get Howard Garrett's Healthy Living and Growing Radio Show on your local radio station, please call 866-444-3478. 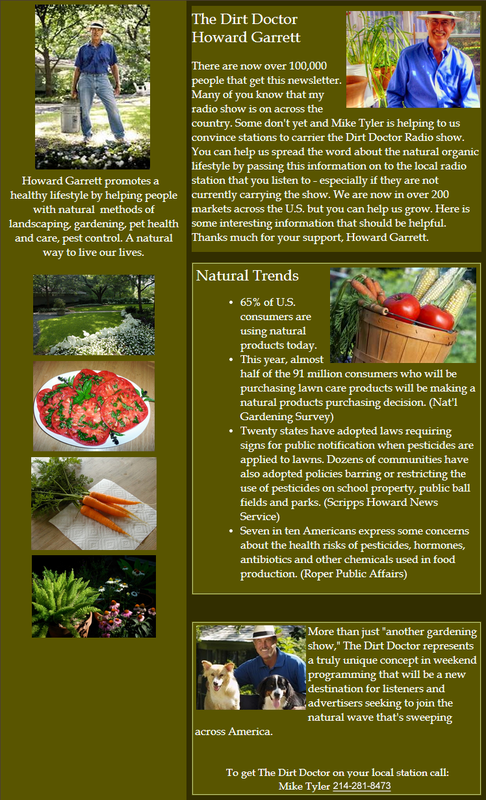 If you have any questions on this newsletter or any other topic, tune in Sunday 8am -11am central time to the The Natural Way Dirt Doctor Radio Show. Listen on the internet or find a station in your area. The phone number for the show is 1-866-444-3478.